Once the cheap-and-cheerful alternative to Japanese and Euro compacts, Hyundai Elantra has truly stepped up to the podium. 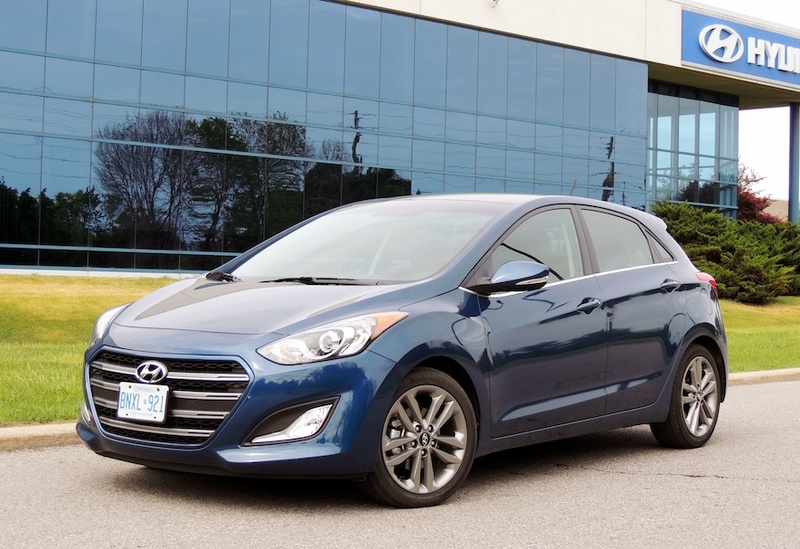 This Hyundai is no longer the one you turn to when funds are a bit tight. This rise in perception isn’t model specific, as the entire company lineup has been repositioned over the past several years. Build quality continues to rise, styling has evolved from drab to chic, content lists have grown – even at entry level – and products have been introduced to showcase Hyundai’s premium intentions. Case in point is the award-winning Genesis Sedan ($43,000 to $63,000) and the luxurious Equus flagship that tops out north of $70K. Even the more affordable Genesis Coupe has dropped its four-cylinder option; further evidence the brand is serious about going upmarket. 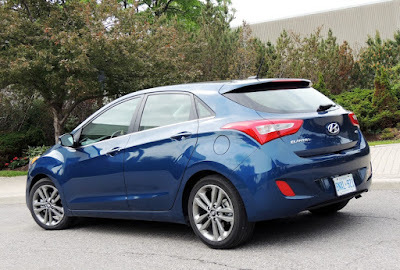 Elantra GT, my tester for the week, is a compact hatchback that lines up with Golf, Focus and Mazda3 Sport, illustrating my point that Hyundai is no longer the value-priced rival. Especially when you consider my ride’s $27,099 price tag (plus freight and taxes) that is well beyond starter budgets. Of course, that’s the all-in “Limited” version, which puts few limits on content. 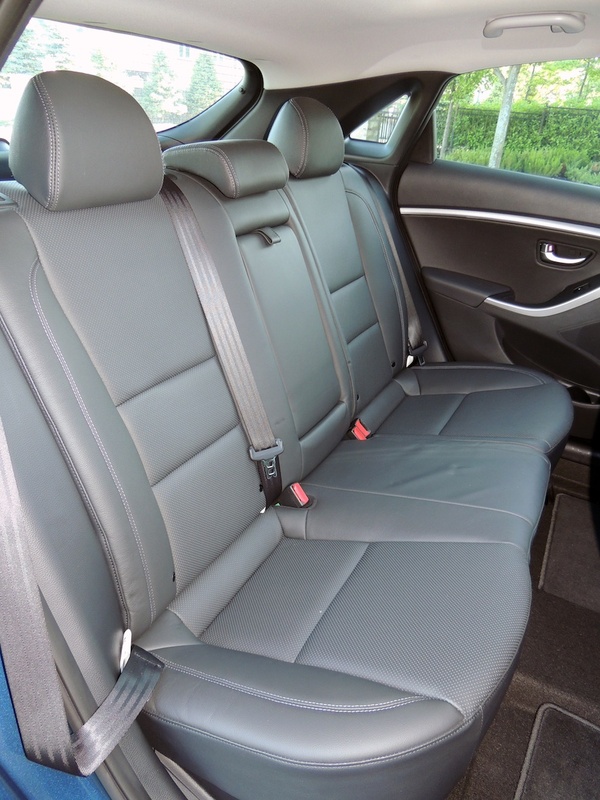 Top trim models get leather seats with heating up front and eight-way power adjust for the driver. Infotainment is managed on a seven-inch touchscreen, which also displays navigation and rearview camera. Other features include two-zone automatic climate control, smart key with pushbutton start, seventeen-inch alloys, and a massive panoramic sunroof. Some of these perks also come at lower levels, and even the base L model ($18,449 with six-speed manual) gets a reasonable equipment list that includes air conditioning, power windows, tilt/telescopic steering, six speaker audio, six-way manual driver’s seat, and even a cooled glove box. Key items like Bluetooth, remote keyless entry and cruise control are missing, however, making the GL ($19,749 manual/ $20,999 with six-speed auto) a better bet. Regardless of model, all Hyundai Elantra GTs get a 2.0-litre four cylinder with gasoline direct injection, producing 173 hp and 154 lb/ft of torque. It’s a hearty step up from the 1.8 that used to power this vehicle, and provides more ponies than many competitors’ base engines. Punch the throttle and the GT’s 1,385 kg curb weight launches swiftly, with ample power on tap for highway passing. You’ll get more from this engine’s powerband with the six-speed manual gearbox (available in L, GL and GLS trim), but Limited comes only with the six-speed automatic with Shiftronic. This transmission is smooth and quiet, even under hard throttle. Slide the gear lever to the right, where you can bump it for reasonably quick up and downshifts. 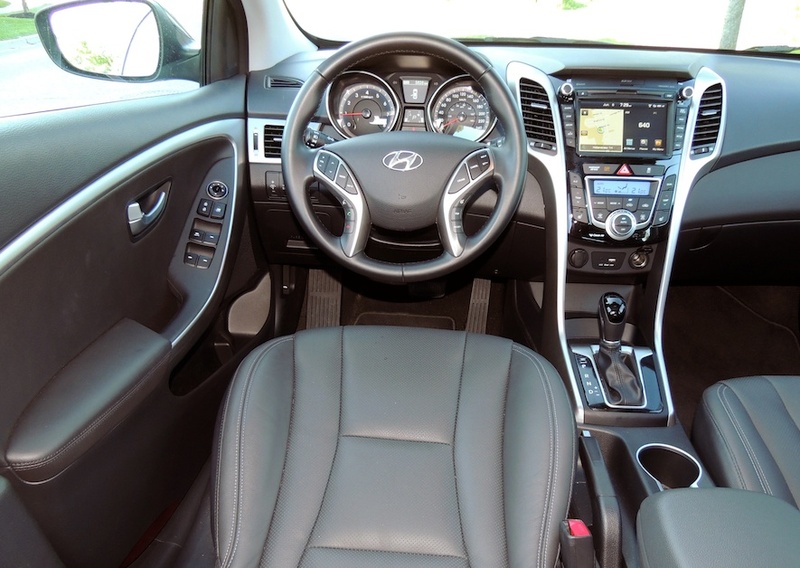 Hyundai does offer an Eco setting, which dulls throttle response and remaps the transmission to shift earlier and more often. I seldom used it, but it’s there for those wanting to wring the most from each drop of fuel. Making more of an impression is the Driver Selectable Steering Mode. Its three settings, Comfort, Normal and Sport, are consistent with the amount of power assist – more for Comfort, less for Sport. I prefer the latter, which requires significantly effort than the other two, but at the same time provides a better sense of resistance in the corners and feel of the road. Because Elantra GT is based on Hyundai’s European i30 hatchback, (and tuned for their market) it delivers a more driver-focused experience than its coupe and sedan siblings. Suspension is MacPherson struts with stabilizer bar in front, and a lightweight coupled torsion beam in rear. The GT also gets higher rear spring rates, a stiffer twist beam and dampers for reduced body roll. Hence, ride is firmer than in other Elantras, but not unpleasantly so, working nicely with all of the above to deliver nimble handling. The GT may not be a hot hatch, but it’s no family plodder. Some find the cabin styling a bit dated, but that’s a minor gripe considering the sensible and intuitive placement of functions on the centre stack. Everything just makes sense, be it HVAC controls or the touchscreen infotainment system. I like being able to hop in and drive, without the added hassle of poring through a user’s manual to figure out things like navigation and Bluetooth pairing. 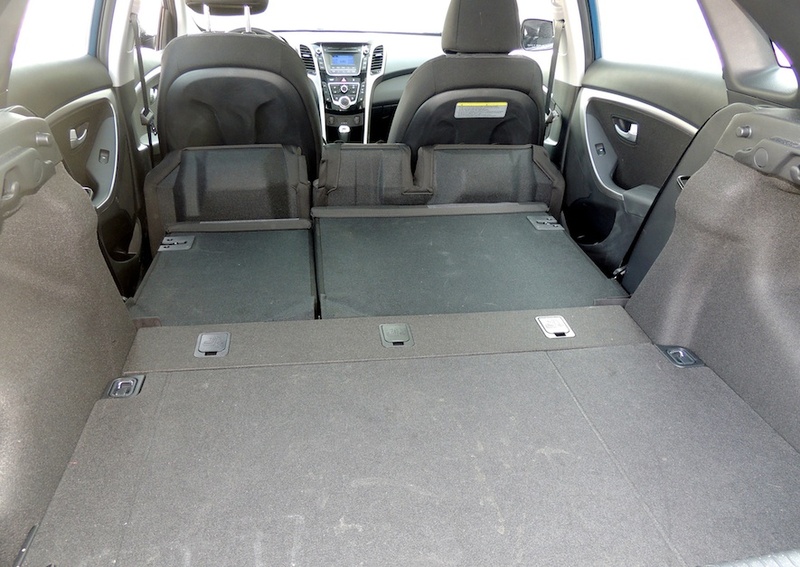 Being a hatchback, it does outshine its coupe and sedan siblings when hauling cargo. Hockey bags, golf bags, a big screen TV or couple of bikes will ride in back, thanks to a 651-litre ‘trunk’ that can expand to 1,444 litres. Just flip the rear seat cushions forward and the 60/40 seatbacks will drop for a flat cargo floor. Such practicality dovetails nicely with the car’s Euro handling and fresh exterior, making the GT a top contender among hatchbacks, and a fuel-efficient alternative to the compact SUV.